The following is from CATIE’s Hepatitis C: An In-Depth Guide, however some of the links on the CATIE site are out of date so we have updated some of the links on this page below. People living with hepatitis C may have difficulty working if their illness becomes severe or the side effects of treatment become difficult. Different programs are available to help cover costs of living for people in these situations. Income assistance (also referred to as financial or social assistance) is for people who need help paying for basic necessities, such as food, shelter, clothing and health care. Applicants may want to discuss their health status with their case worker so they can get the most financial and social support possible. The Ministry of Housing and Social Development administers the BC Employment and Assistance program, which provides Income Assistance to people who need help paying for basic necessities such as food, clothing, rent and medicine. The amount of money a person can receive each month depends on factors such as annual income, family size and level of need. People who receive Income Assistance are also entitled to full prescription drug coverage through PharmaCare as well as additional health benefits, such as optical and emergency dental services. Additional benefits, like assistance for transportation to medical appointments, special dietary needs and emergency relief are available to eligible applicants. People who have been living with Hep C for more than a year and whose ability to search for or retain employment is impeded by their illness may want to request that they be considered a Persons with Persistent and Multiple Barriers (PPMB). This categorization of Income Assistance acknowledges that certain people, for various reasons including medical conditions like Hep C, cannot work for certain periods of time and thus require additional financial support every month. 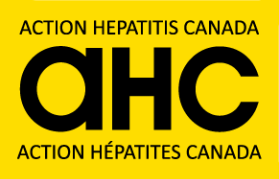 Those individuals living with chronic Hep C may also be eligible for additional financial and non-financial benefits, including public transportation passes, employment support and income exemptions through the supports provided to eligible Persons with Disabilities. Recipients of these benefits receive the highest amount of Income Assistance available in the province. People who receive Income Assistance through the Ministry of Housing and Social Development can also get help with job training, education and finding employment through the BC Employment Program. In addition to employment assistance, this program also provides individualized support for people needing English as a Second Language (ESL) training or Mental Health and Drug and Alcohol services. To apply for Income Assistance people can either contact their local Housing and Social Development Office or call 1-866-866-0800 to set up an eligibility interview. If a person disagrees with a decision related to their application for Income Assistance, they can request a reconsideration or appeal to have their case reviewed. People can either speak with their Employment and Assistance Worker (EAW) or visit their local Housing and Social Development Office for further information. Having the assistance of a community advocate can usually help with this process. CPP is normally for people who have retired from working, but if a person has a medical disability, he or she may be able to receive monthly pensions before turning 65 from CPP Disability. A person must have worked in the past and paid CPP contributions (this is a standard deduction on most paychecks). The application must be accompanied by a detailed medical assessment confirming the medical condition. Often a person must appeal a negative decision for CPP disability before the application is approved. EI is a program for people who have stopped working because they were laid off, had a baby or are too sick to work. Eligibility is based on the number of hours a person has worked, whether they have been on EI before, and what the unemployment rate is. It is usually a shorter-term program but can help while people are waiting for other programs, such as disability pensions. EI Regular Benefits can last almost a year while EI Sick Benefits generally last about 15 weeks. The amount of money a person can receive is based on a percentage of their income from their most recent job. Many employers have employee benefits that can provide short-term disability benefits or a disability pension. Some may even have EAPs that provide counselling and financial planning. The person should enquire through the personnel or HR department. All such enquiries are kept confidential but the employee will have to disclose some personal medical information. If you live in BC and you need help navigating through the disability application process, you can contact Disability Alliance BC (formerly BC Coalition of People with Disabilities).